My practice is a “No Lecture Zone” office; we do not judge nor lecture. My first priority is always the patient’s total comfort and peace of mind. Hello! I’m Dr. Kelly Bridenstine. I’m a dentist providing a full spectrum of family dentistry, cosmetic dentistry, sedation dentistry and dental implant services. 1983 – Brigham Young University: Bachelor of Science Degree in Biology. 1987 – University of Iowa College of Dentistry: Doctorate of Dental Surgery (DDS). 1988– Long Beach Veterans Administration Medical Center: Post-Doctorate one-year Residency Program – Hospital Dentistry. 2009: University of Southern California College of Dentistry: Post-doctorate Sedation Program-IV Sedation training. 2009: Level II Anesthesia Permit approved by the Kansas Dental Board to administer intravenous and oral conscious sedation medication to his patients. 2009: Scottsdale Center For Dentistry: Completed the Dr. Gordon Christensen two-year Mentorship. Disciplines covered were: Oral surgery, periodontal surgery, dental implantology, cosmetic and esthetic dentistry, pharmacology, dental materials and technology, full-mouth rehabilitation techniques, occlusion, TMJ treatment, oral pathology, myofacial pain control and new technology and techniques in restorative and cosmetic bonding. Dr. Bridenstine is one of 300 dentists world wide, selected to be a product evaluator for the Clinicians Report Foundation; a not-for-profit dental scientific research group that tests the newest dental materials, techniques and equipment for publication in the Clinicians Report Monthly Newsletter. Dr. Bridenstine is a member of the American Dental Association, The Kansas Dental Association, the Academy of General Dentistry, and the Dental Organization for Conscious Sedation (DOCS), the American Dental Society of Anesthesiology, the Academy of LDS Dentists and the American Academy of Cosmetic Dentistry. Dr. Bridenstine attends countless hours of continuing education to keep current on the latest trends dentistry and what benefits they can offer his patients. Locally Dr. Bridenstine, his staff along with some local dental specialists over the years have provided “Dentistry from the Heart” day to the residents in the community one day per year. Residents received FREE dental services at Perfect Smiles Dental Care. Dr. Bridenstine also donates his services through Give Back a Smile and several other service organizations for those in need. Our Office is currently a Giving Partner with Buy1Give1 (B1G1). At Perfect Smiles Dental Care, we believe that every business has the power to change lives by integrating giving into its everyday business activities. By receiving your dental cleaning and check up examination from Perfect Smiles Dental Care you automatically give 7 days of access to life saving clean water and will be providing access to dental hygiene for a child, through our partnership with Buy1Give1 giving program. Dr. Bridenstine has worked with the cruise line Holland America to provide gratis dental services in the ship’s dental clinics to the Filipino and Indonesian crew members and staff. He donated his time, money and dental services in the ship’s clinic to provide modern, high-tech dental care to the ship’s crew members and staff who would never in their own countries receive proper and basic dental care. Dr. Bridenstine is the CEO of AFFDENT® Dental Plans. AFFDENT® stands for Affordable Dental Plans. It is an in-house private dental plan specifically designed for patients who have no dental benefits and who are on a limited budget. Instead of delaying dental treatment because of limited finances, patients can now receive basic dental services at a discounted rate. 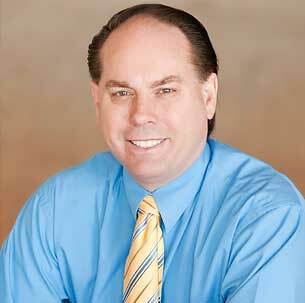 Dr. Bridenstine is one of Kansas City’s Extreme Makeover Cosmetic Dentists. His office has been chosen since 2004 up to the present to be the official cosmetic dental office for the Mrs. Kansas, Mrs. Missouri and the Mrs. Nebraska Beauty Pageants representing the Mrs. America Pageants and Mrs. United States Pageants. He has also been selected to be a pageant judge since 2004 for the Mrs. Kansas, Mrs. Missouri and Mrs. Nebraska Beauty Pageants along with the Miss Kansas Teen Pageant. The winners and runner-ups receive complimentary in-house teeth whitening and the winners receive a one full year of gratis general dentistry and a generous courtesy adjustment for any cosmetic smile makeover. Dr. Bridenstine has hosted and sponsored luncheons for local and national celebrities and beauty pageant winners. He has also been invited by dental marketing and consulting companies to be a speaker and consultant nationally to other dentists at various dental seminars across the nation. 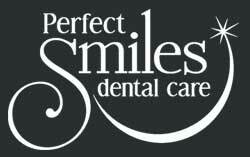 Dr. Bridenstine has been the owner of Perfect Smiles Dental Care since 1991. He spent his childhood in Las Vegas Nevada and when he was ten years old, his family moved to Concord California in the San Francisco Bay Area. After graduating from Clayton Valley High School he attended Diablo Valley College in Pleasant Hill California and then served a two year humanitarian mission for his church in Hong Kong. After returning from Hong Kong, Dr. Bridenstine attended Brigham Young University and majored in Biology and enrolled in the BYU Pre-Dental Program. Since he spent two years in Hong Kong, he returned home speaking fluent Cantonese, (Chinese). At BYU he tested out of the entire BYU Chinese Language Department after passing a four hour exam and was awarded 20 “A” credit hours to be averaged into his GPA. After completion of a Bachelor of Science degree in biology, he was accepted to five dental schools and decided to attend the University of Iowa, College of Dentistry. To say his first winter in Iowa was an eye opener would be selling an Iowa winter short…he froze to death! The California transplant brought with him only a light-weight ski jacket. In the late Fall while waiting for a bus in Iowa City, a native Iowan asked him if that was the only coat he had. Dr. Bridenstine told him it was. The Iowan told him, “You’ll never make it here.” So at the winter semester break, he purchased a nice “thinsulate” Iowa coat that allowed him to survive four brutal Iowa winters. He still has this Iowa coat to this day and wears it to shovel snow from his driveway each winter. After graduating from dental school in 1987, Dr. Bridenstine, was accepted to a one-year general practice residency at the Long Beach Veterans Administration Hospital Dentistry Program in California. Dr. Bridenstine found his way to Kansas via a close friend from the Bay Area who had moved to Kansas City and raved about it. Dr. Bridenstine accepted an associate doctor position with Dr. Arthur Rothman in Lenexa Kansas. Tragically, Dr. Rothman passed away shortly and unexpectedly after Dr. Bridenstine had started his new job with him. Dr. Bridenstine ended up purchasing Dr. Rothman’s practice. A few years later, Dr. Bridenstine met Sherrie at church and they started dating. They got engaged and were married that same year. Dr. Bridenstine and Sherrie have now been married over 24 years and still reside in Lenexa. They are the proud parents of three beautiful daughters, Ariel, Claire and Hannah. When Dr. Bridenstine and Sherrie married, he found out she was a huge animal fan. One day Sherrie brought home a beautiful three-month old Silver Shaded Persian cat named Sultan. Sultan was a purring machine and the ultimate lap cat. Sultan lived 19 years and weathered the storm of raising three little girls who loved him beyond measure. Today the Bridenstine home has two new cats named Tommy and Dober, (pronounced, Daw-ber) and an adorable Pembroke Corgi dog named Lily. Dober is a huge 16 pound black and white heavy-weight and his brother Tommy is a smaller orange and white version. Dr. Bridenstine offers a wide variety of dental services, but, always in the context of making sure that each patient feels relaxed, informed and understood.